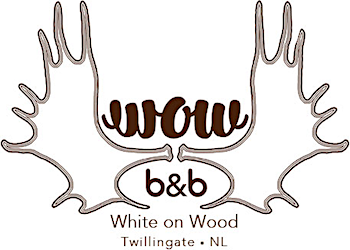 White on Wood (WOW) Bed & Breakfast mixes spectacular ocean vitas with a welcoming, warm atmosphere. Our 1940s cottage sits on a rugged granite cliff that offers magnificent ocean views. After a day filled with exploring and adventure, come home to a spectacular sunset seen from any of our breathtaking viewpoints. Gastro-chic sumptuous breakfasts, dinners, nd a few tall tales from your host Brad round out your "wow" stay at White on Wood.